The County Board is deliberating over the proposed FY2018 budget at a series of meetings, which began Oct. 24 and continue today. The budget hearings will be webcast and archived on www.lakecounty.tv. The proposed budget is balanced and sustainable. At the budget hearings, board members will carefully review the budget, ask questions, and may propose changes. The final budget will be adopted in November. The proposed budget continues to maintain our core services and invests in both our physical and technological infrastructure. 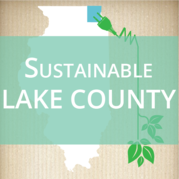 Lake County remains fiscally stable primarily due to the county board’s focus on strategic, data-driven decision-making, and the board’s commitment to fiscal responsibility. The Lake County Recorder of Deeds Office provides a tool for homeowners to help protect their biggest investment. Property Check is a free, easy-to-use, 24/7 online service that will alert subscribers, via email and/or text message, whenever a document is recorded against their name and/or property. The sign-up process only takes a few minutes. Once you enter your name notification criteria, you will only need to update your account information if your email address or cell phone number changes. Sign up! In September, Governor Bruce Rauner sent a request to the President of the United States asking that he approve federal assistance to help people in the northern Illinois region, including Lake County, recover from the record flooding and severe storms. Lake County has not received a response to this request. The Small Business Association (SBA) has announced a 15-day grace period for Lake County residents impacted by the July 2017 floods to apply for low-interest, physical damage loans. The filing deadline is now Nov. 1, 2017. Loans up to $200,000 are available to homeowners to repair or replace damaged or destroyed real estate. Homeowners and renters are eligible for loans up to $40,000 to repair or replace damaged or destroyed personal property. For more information on eligibility, loan amounts, and other requirements, please view this SBA Fact Sheet. The deadline to apply for Economic Injury loans, such as loans to assist small businesses and non-profits through the recovery period, is May 16, 2018. The flooding, which impacted Lake County this past summer as well as hurricanes impacting many parts of the country all remind us of the importance of coming together as a family and community to prepare. 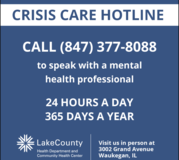 Lake County has a variety of resources to help you prepare for an emergency. Alert Lake County is your emergency preparedness resource, and watch this video for tips to get emergency alerts. Whether your child will be a ghost, a goblin, a clown, or princess, get ready because it’s time for Halloween in Lake County! View the trick-or-treat hours for your area. Items that will be accepted are: expired solid prescription drugs, unwanted and unused prescription drugs, over-the-counter drugs (pills), and controlled and non-controlled substances. Syringes, injectable drugs, IV solutions and liquid products will not be accepted. The service is free and anonymous. Remember, you can dispose unused prescriptions or over-the-counter medications safely any time at prescription drug disposal boxes across the county. View the list of locations. 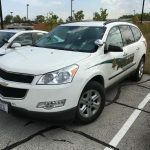 Police cars, vans, SUVs, trailers, plows and other surplus equipment from local municipalities and government agencies will be at the Lake County Vehicle and Equipment Auction. The auction will also include unclaimed property found in forest preserves throughout Lake County such as bicycles, clothing, electronics, and other assorted items in the possession of the Lake County Forest Preserve Ranger Police Department. All items will be sold as-is. View a complete list of the items. Do you still have the glasses you used to view the solar eclipse? Don’t throw them away! Bring glasses to one of four locations across Lake County now through Nov. 11 as the Solid Waste Agency of Lake County is working with Astronomers Without Borders to bring these glasses and provide a first-hand science experience for schools in developing countries. Please do not donate scratched, broken or torn glasses. Did you know Lake County roadways have storm sewer vortexes that act as filters for road grime, oil and other debris and help improve water quality? Watch our latest Lake County’s Dirty Jobs as County Board Chairman Aaron Lawlor comes to Hawthorn Woods to clean out a vortex structure using a sewer truck on Old McHenry Road, east of Quentin Road. The Lake County Public Works Department is responsible for making sure we have a safe and sustainable source of drinking water. One important step in this process is the inspection of our water systems. 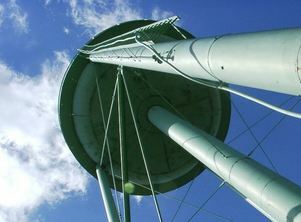 The Illinois Environmental Protection Agency (IEPA) inspects the County’s water systems every three years and reviews each system for technical, financial and general management. The Grandwood Park and Wildwood water systems were inspected earlier this year with no violations, and the Countryside Lake system is being inspected this October. In 2018, IEPA will be inspecting the Pekara, Hawthorn Woods, Fox Lake Hills and Forest Lake water systems. In addition to the inspections, Public Works also publishes an annual Water Quality Report with information on the sources, treatment and chemical analysis of each water distribution system. 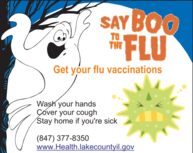 To learn more, visit the Lake County Public Works website. Following the board's action, County Board Member Steve Carlson spoke about what this ordinance can do to help protect the health of the County's youth. Watch now. Local officials gathered to celebrate the completion of the Washington Street Thoroughfare Project in central Lake County. The $53 million project included reconstructing and widening Washington Street as well as providing a grade separation by lowering Washington Street under the CN/Metra railroad tracks. Watch this video to learn more. The hours of operation for receiving walk-in applications at the permit counter at the Lake County Central Permit Facility have changed and are 8 a.m. to 4 p.m. This change applies to all walk-in permit applications for the Health Department, Planning, Building and Development, Public Works, the Division of Transportation, and the Stormwater Management Commission. The Central Permit Facility, however, will be open at 7:30 a.m. and will close at 4:30 p.m., so residents can still drop off applications or paperwork if the permit counter is not staffed. The implementation of a new County-wide permitting system has expanded the number and types of permit applications that customers can submit online, reducing the need for people to visit our permit counter. Customers can now create an account to submit and pay for many permit applications electronically and review the status of their applications and inspections online. We analyzed traffic at our public counters and found that less than 5% of permit applications take place before 8 a.m. or after 4 p.m. Adjusting the hours slightly will allow us to staff our public counters more efficiently, while still meeting the needs of our Lake County customers. For information, please visit the Planning, Building and Development website. The Lake County Sheriff’s Office is partnering with the Veterans Assistance Commission, several local law enforcement agencies, and local high schools to collect coats and outerwear for the Lake County Law Enforcement Veteran's Coat Drive. Donations will be taken now through Nov. 8 at County offices and police departments across the county. View donation locations. The Kids’ Korner at the Lake County Courthouse recently marked a milestone, caring for 50,000 children. The Kids’ Korner provides a safe and fun waiting area for children who are visiting the courthouse to testify or whose parents or guardians are conducting court business. Watch this video to learn more. Did you know you can apply for a new passport or renewal at the Lake County Circuit Clerk's Office without an appointment? You can even get your passport picture taken. Watch this video, available in English and Spanish to learn about the passport services provided. Did you hear that? The preserves are calling your name. Find your next adventure with the new Interactive Trail Map. This easy-to-use map will help you locate trails, preserves, activities and amenities from your phone, tablet or computer. Start exploring today. Plan early for your family reunion, company picnic or other group gathering to ensure your first choice of shelter and date. Reservations for 2018 picnic shelter rentals are now being accepted. Purchase permits online, by phone, or in person. Thanks to an Open Space Land Acquisition and Development Grant from the Illinois Department of Natural Resources, 0.7 miles of new trail will be developed at 229-acre Spring Bluff Forest Preserve in Winthrop Harbor, converting an existing asphalt roadway to a recreational trail. The new trail will connect to existing trails at adjacent Illinois Beach State Park via the 7th Street bike lanes. The project also includes building a wildlife education and observation deck and completing habitat restoration work within the preserve. 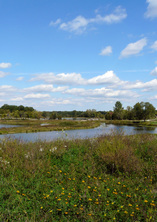 Spring Bluff is primarily wetlands with oak savanna and prairie. Ethel’s Woods Forest Preserve: A $1 million Clean Water Act grant was received from the Illinois Environmental Protection Agency for work underway at Ethel’s Woods in Antioch. The grant will fund ecological restoration of the historical North Mill Creek riparian corridor. Lake County Forest Preserve Ranger Police patrol 10 percent of the land in Lake County, making ours the second largest jurisdiction. As part of their work, rangers often encounter people with emotional, cognitive, and mental health challenges. The Preservation Foundation’s Board of Directors recently approved a grant for Crisis Intervention Training to provide all full-time rangers with skills to deescalate interactions with people in crisis and connect them with health services. This specialized training will directly improve public safety in your forest preserves. Learn more about how you can stay safe in the preserves with these safety alerts and tips. Set in the midst of bustling suburbs, this emerald island offers a quiet place to relax and recreate with nature. Its wide-open spaces are safe, clean and easy to explore. Four miles of gravel trails are open to hikers, bicyclists and cross-country skiers. Please keep dogs leashed and on trails at all times, and pick up after them. The trails run through open areas within the preserve, crossing several creeks, skirting the reservoir and traversing restored prairie. Within the next year, Buffalo Creek Forest Preserve will be undergoing reservoir expansion, preserve improvements, wetland mitigation and new trail construction. Visitors will enjoy 1.2 miles of additional trails that will provide two new loops east of Schaeffer Road, seven new boardwalks, two scenic overlooks and a 30-car expansion of the existing parking lot. Approximately a half-mile of the existing trail in a flood prone area will be relocated to higher ground to increase accessibility for longer periods and reduce long-term maintenance costs. Nineteen acres of new wetlands and 35 acres of prairie/savanna will be added as part of the restoration of the basin. As part of a wetland mitigation bank, additional restoration work on the preserve’s western 65 acres will reestablish and rehabilitate native wetland habitat by returning the former farm fields to a sustainable natural condition. When complete, visitors of the preserve will be able to enjoy an additional 1.1 miles of new trails connecting an adjacent residential area and the Village of Long Grove’s soccer fields to the extensive network of existing trails within the preserve. View concept plans and project details. Previously a seasonal retreat for camping and recreational vehicles, this preserve is now a year-round haven for people and wildlife. Visitors enjoy trails, picnicking, birdwatching, and nature observation. Century-old oak trees that rise above two scenic lakes, woodlands, wetlands and marshes offer plentiful habitat for wildlife. Extensive shoreline restoration efforts and improved fish habitats make Nippersink a great place to fish. Anglers can fish from shore or from two wheelchair accessible fishing piers. Drivers are reminded to be cautious of deer during the fall breeding season. Deer will be more active and visible throughout the state, especially at dusk and dawn. The risk for crashes involving deer greatly increases from October through December. Follow these safety tips. More than 96,000 Lake County students from 142 schools participated in this year’s Fall Attendance Competition. The top 10 schools in weekly attendance rate recently were honored by the Lake County Regional Office of Education. Watch this video to learn more about the competition.